This was my first blog entry, back when I began documenting exploit kit (EK) traffic, and I didn't realize this was Neutrino EK. The malware payload was obfusated, XOR-ed with the ASCII string: nylhvw (something I hadn't figured out yet). 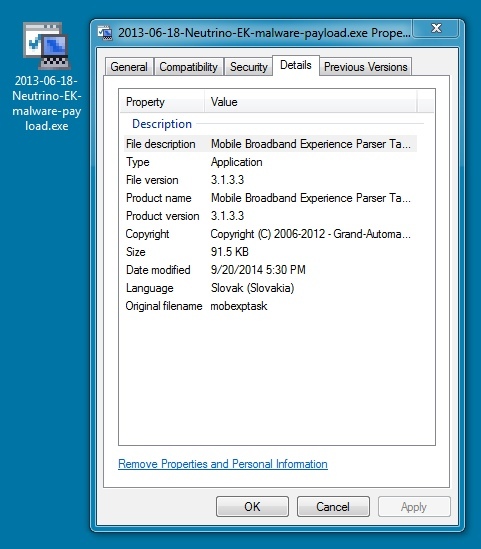 This PCAP is dated 2013-06-19 in UTC, which was 2013-06-18 Central time in the US (which is why this blog entry is dated 2013-06-18).